In June 2018, the city of Los Angeles unveiled a project to put up specially designed street signs to recognize and honor the more than 60 members of the Los Angeles Fire Department who have died in the line of duty. The signs will be posted at or near the locations where each of the firefighters were killed. The red-and-black signs, similar in size to a typical street sign, will include the name of the firefighter, and the date they died. The LAFD sign project was promoted by District 12 Councilmember Mitch Englander, chairman of the City Council's Public Safety Committee, and is similar to the street sign project backed by Englander four years ago, to honor members of the Los Angeles Police Department who died in the line of duty. The memorial signs will be paid for by the United Firefighters of Los Angeles City union, and installed by the city's Department of Transportation. The Los Angeles Fire Department Historical Society will provide the names of the firefighters, and the locations for the signs. "This is to commemorate forever those who paid the ultimate sacrifice," Englander said. According to the motion, which was unanimously approved by the L.A. City Council, "On November 19, 1895, Fireman Sam Haskins was crushed to death in a horse-drawn fire engine accident. He was the first Los Angeles firefighter killed during an active fire incident. 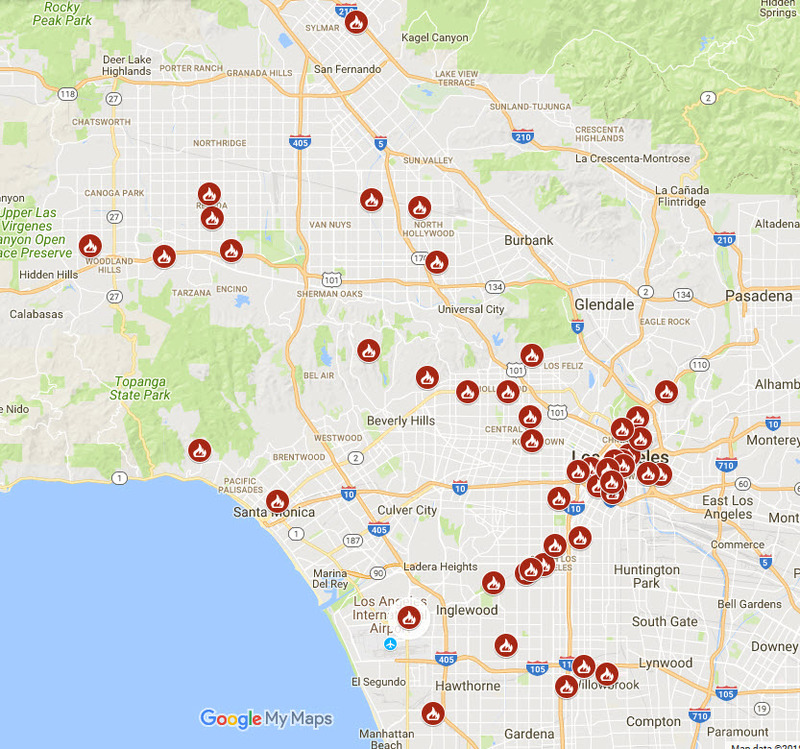 A total of 62 firefighters have died working to protect the citizens of the city of Los Angeles. "The entire city grieves when these incidents occur and it is important to show our collective gratitude to these fallen firefighters. Their courage, dedication and sacrifice make it possible for all Los Angeles residents to feel safe, secure and protected in times of crisis." On this website, we'll periodically add photos of the signs as we find them, along with the stories of the fallen firefighters, just as we did with the signs for the LAPD officers who were killed in the line of duty.